Springfield pitcher Zac Wild is greeted by Logan Lobell after a shutout inning. French Settlement's Roman Hodges takes a cut against Doyle on Wednesday. 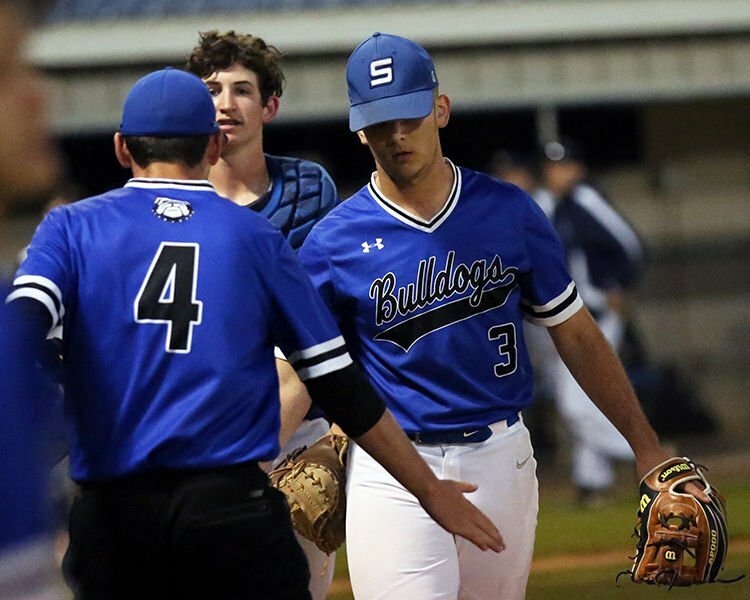 Zac Wild grounded into a bases-loaded fielder’s choice with one out in the bottom of the seventh inning lifting Springfield to a 6-5 win over French Settlement on Tuesday, giving the Bulldogs the District 10-2A series victory. Both teams got solid pitching in the series opener, which the Bulldogs won 6-2 Monday. Bryce Vittorio led off the bottom of the seventh with a single, and Trevor Freeman was hit by a pitch. One out later, Will Taylor walked, setting up Wild’s grounder to third, which scored Vittorio. The Bulldogs scored first as Taylor’s double in the first and an error at shortstop made the score 2-0. A pair of sacrifice flies by Ben Andrews and Edward Allison tied the game at 2-2 in the top of the third, and Riley Keller’s two-run single gave FSHS a 4-2 lead in the fourth. Collin Hayden’s two-run single tied the game at 4-4 in the fifth. Roman Hodges and Keller each had two hits for FSHS, which had seven for the game. Hayden, Taylor, Nic Macaluso and Vittorio had Springfield’s hits. Kendall Stanga gave up seven hits, four runs, four walks and struck out five in a complete-game win. Brice Fruge took the loss, giving up four hits, five runs (one earned), one walk and striking out four in 6.1 innings. The Bulldogs put together a three-run second, keyed by Sladen Lyles’ run-scoring double and Vittorio’s two-run single, and Blake Lobell singled in another run in the third for a 4-0 lead. The Lions picked up their runs in the fifth on a double by Allison and a single by Jonas LeBourgeois, and Hayden’s RBI double in the seventh capped the scoring. Hayden had two hits to lead Springfield, while Allison had two hits for FSHS. Hayden got the win, throwing a complete game four-hitter, giving up three walks and striking out three. 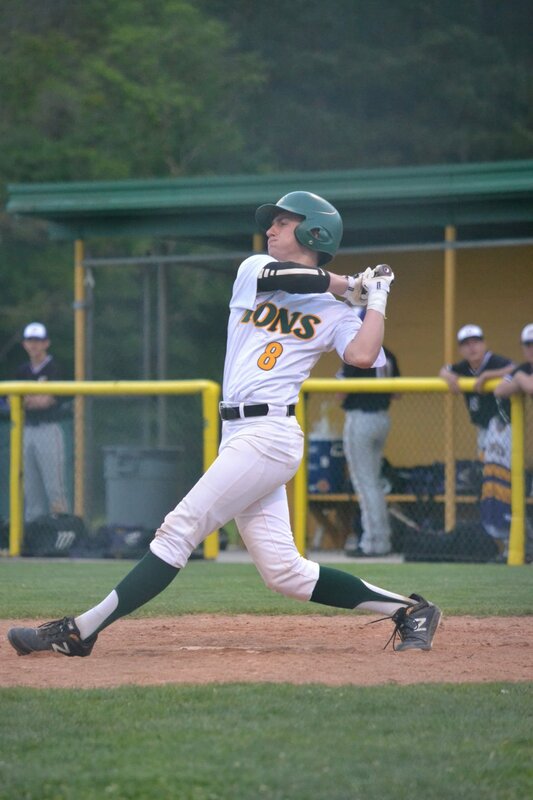 Hodges and Will McMorris combined to give up six hits, six runs and strike out two for the Lions.